You’ve heard that the kitchen is the heart of the home and it’s true. Think about it – this is where some of the most important daily activities at home happen. We make our coffee here, rushing around in the morning, trying to not be late. If we’re really responsible – which I’m usually not – we make breakfast for ourselves. At night, we cook here and eat with our family or invite loved ones into this space when it’s time to celebrate and entertain. 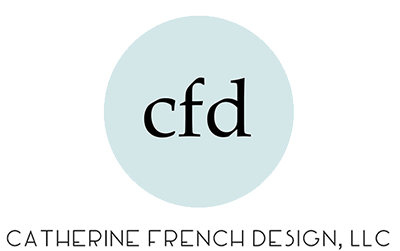 Here at CFD, our approach to interior design has always acknowledged that form and function go hand in hand. This is especially true for the design of your kitchen. Because the kitchen is a frequently utilized space, it needs to be able to stand up to wear and tear. But it also needs to do its job beautifully. There are so many choices when it comes to deciding about cabinet style, hardware, and other finishes. Here are some kitchen designs that find great ways of combining gorgeous finishes and details. This kitchen mixes a lovely grayish green with light neutrals. The simple lines of the flat panel cabinetry are elevated with tan leather drawer pulls. Here, a shade of pink takes a tough material like brick and gives it surprising softness. Married with butcher block counter tops, distressed floors, and masculine accents, this kitchen has an interesting level of contrast. This all-white space creates depth and interest by bringing in a geometric pattern on the backsplash and a combination of open and closed shelving. Soft blue shaker style cabinetry + brass bin pulls + farmhouse sink = cute cottage kitchen. This kitchen pulls off an earthy vibe while still being modern. Light distressed wood floors are combined with deep green cabinets and a fantastically textured brass backsplash. The energetic lines of this patterned tile backsplash are subtly repeated in the kitchen hardware – the faucet and drawer pulls both have similar forms. This is for hexagon lovers. Fun tiles in deep blue make a bold statement in this kitchen. And look, there are even hexagon drawer pulls! So, as you can see, you have a lot to choose from when deciding on finishes for your kitchen. There are endless possibilities when it comes to combining cabinet styles, drawer hardware, tile, material, and color. And it can be overwhelming. We’re here to help. If you’re looking to revamp the heart of your home, shoot us an email. We’ll help you create the kitchen of your dreams.